Read what our guests and homeowners have to say about The Sanders' Difference. "We had an amazing time! Love booking with Sanders! We are always taken care of!" 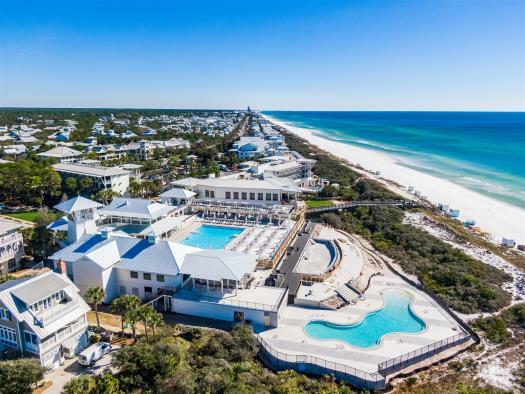 "I will continue to tell friends and family why we use only Sanders Beach Rentals for 30A vacations. We couldn't imagine better service and care. Once again Connie came through helping me with my search for the right home. Andy is always at the ready if we have any problem, and with a smile and a great sense of humor. These two combined help make our week awesome. We’ve never had an major problem with any house we’ve rented, but Andy has treated any request with speedy attentiveness. Keep up the good work with your family company. We always look forward to see new homes added to the list and can’t wait to get back each year." "The home was in immaculate shape and the floor plan was fabulous. I am always bothered when we pay big $$$ for a beach rental and cleaning fee and arrive to see things are dirty and we spend the first day cleaning and sanitizing in order to feel comfortable. Not with this rental! It was pristine. I really appreciated seeing the walls were not covered in black marks and dirt as so many are. I understand it happens often and so easily, but it sure makes a home feel dirty. We were able to come in and sit down, relax and never worried things were not clean. THANK YOU. We, also have to travel with a king size gel memory foam mattress topper due to my previous back surgery. Imagine our surprise when the master bed already had one on it! It made a world of difference...little things :)"
"I wanted to let you know how nice and clean the home was. 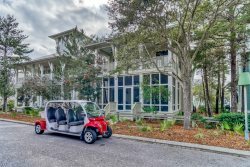 We are owners in Rosemary beach and have just sold our last home as renting has been a nightmare. We went through several rental companies as well as cleaners as it isn't easy to find someone to keep your home nice and clean. You all did a great job of making us feel like we were the first renters ever! It was clean and organized which we are very thankful for. This was PERFECT! The home was beautiful and we are glad to have found it. You have restored our faith that there are good companies out there that can truly manage the home." "You certainly have assembled a very wonderful team of folks at Sanders. Thank you for the continued follow up and listening to us as you do. I know now why we chose your company over all the others." "Our home was amazing and every detail was well thought out…down to the plush towels. Your company was helpful and responded to emails very promptly answering all of my questions prior to our arrival. From umbrella rentals to additional bike rentals, every company I contacted was exceptionally courteous and delivered their services as promised. We had a fabulous weekend and look forward to renting with you again." "This trip for our family was wonderful! The home was nothing short of amazing and the service we received through Sanders was the best like every other time. My family will continue to rent through you guys and appreciate your excellent service and business. Looking forward to future trips!" “Your staff took great care of my family while vacationing in Watercolor. We received great customer service and the house was excellent in every aspect – great bedrooms, numerous porches, wonderful kitchen/living space, ping pong table on one porch, 6 bikes, plenty of clean towels, two canisters of propane for the grill, house was spotless. Thank you for the great customer care we received. We look forward to future rentals thru your listings." "Your folks have done a wonderful job in every area. It certainly is a great feeling knowing that our partners are true to their word in promises you made us. Thank you for the integrity you have shown in communication with us long distance. Hats off your team." "Steve, we enjoyed our stay and will be staying with you again in the future either there or at one of your other properties."